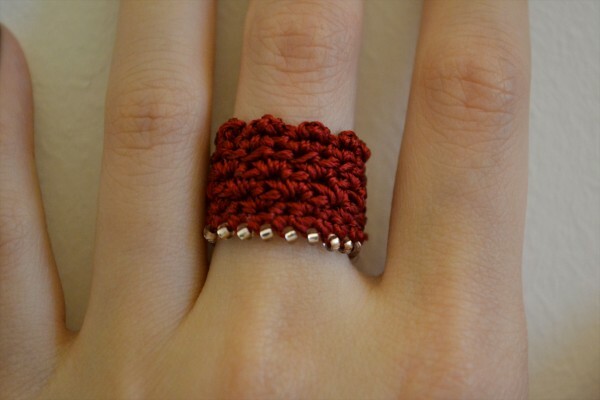 I have made some crocheted rings. After quite a few experiments, I’ve finally decided this is it. 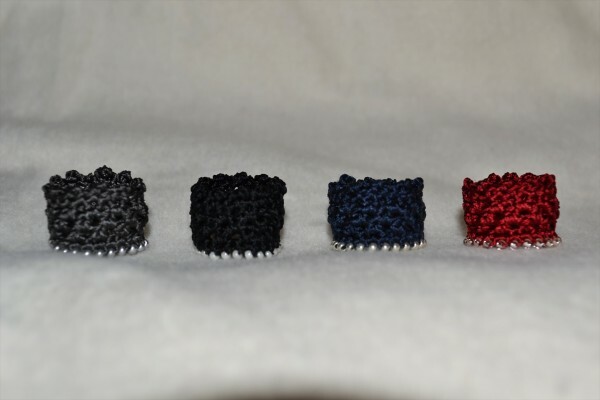 I like how they look like little crowns, or plasters, or thimbles. 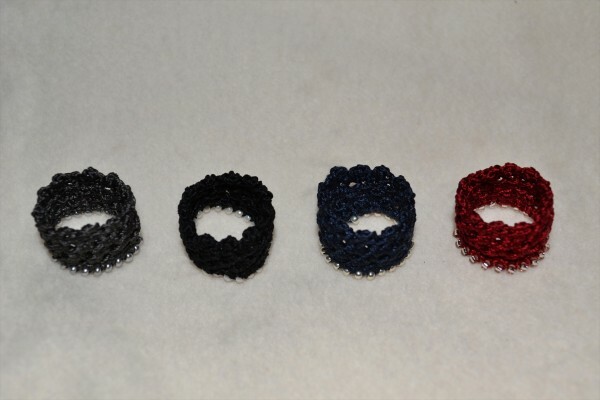 One edge is beaded and the other has picot stitches for a lacy effect. 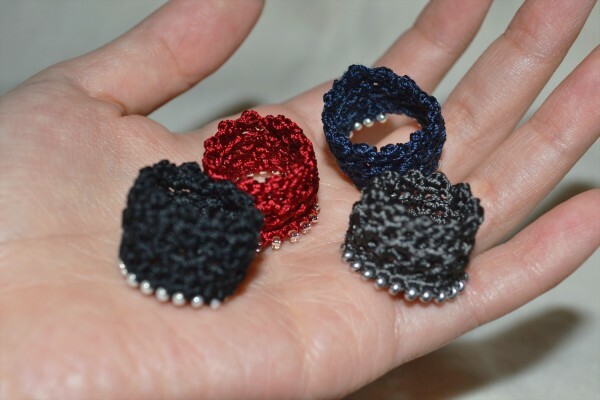 I have used sewing thread in silk as I couldn’t find knitting yarns fine enough to make these delicate rings. They are so cute!